With a name as tranquil sounding as Crystal Springs, you might be surprised to learn that there are some dark, twisted tales associated with this bridge. But then again, we are talking about Ohio, right? Man, do we love our strange and spooky stuff! To read all about Crystal Springs Crybaby Bridge, click here. 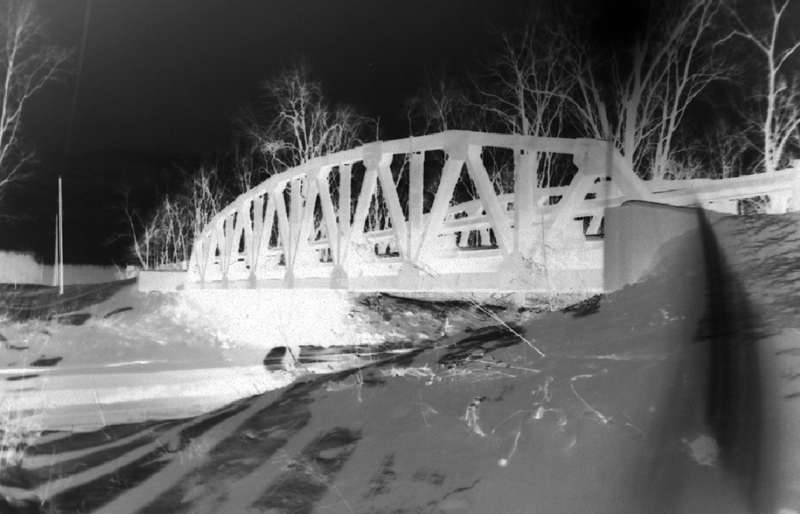 Or, if you need to get a bit more background on this whole Ohio Crybaby Bridge Project that’s sweeping the nation, then give a click here. When I made the decision to launch the first 10 pages/sites in the Ohio Crybaby Bridge Project this past Friday, I had no idea the impact it was going to have. Sure, since I’ve always been fascinated with this dark aspect of Ohio folklore, I thought a couple of you would be interested in it, too. But based on this weekend’s numbers, my estimate of a “couple of you” being interested was a bit off. OK, a lot off. I have been writing this blog for several years now and I have never seen numbers this high. At one point, there were so many hits, I think we were in danger of breaking the Internet. OK, that’s a bit of a stretch. But for my site, which averages several hundreds hits a day to suddenly jump to, at one point, several thousand hits an hour, well, let’s just say it quickly became clear to me that the Ohio Crybaby Bridge Project struck a chord with many of you. Put another way, I was incredibly overwhelmed, humbled, and excited. I am planning on continuing to add pages for the remaining bridges I have on file. The plan is to upload at least 2 pages a week. Each time I upload a new page, I will push out an update to all the usual places (Facebook, Twitter, etc). During that time, I will also begin adding all of the personal experiences that people have shared with me to the existing pages. With regard to updates to existing content, for the short term, I will compile all updates into one “roundup” post. Short term, I plan on pushing the Roundup post out every Monday, beginning March 2, 2015. In terms of you keeping track of all these changes/updates, the easiest thing would be to simply bookmark this site. But if you’d like to be made aware of the changes as soon as they are made, you can Follow this blog by clicking the link in the top right corner of this page. You can also follow me on Twitter or my Facebook fan page. Regarding those of you who shared your personal experiences and stories here: In order to make them easier to access (and enjoy), I will be incorporating them into the pages dedicated to that specific bridge. So please, if you notice that your comment has been deleted, don’t panic! I’m just moving it to a better place! And to those of you who e-mailed your stories, I will be responding to each and every one of you regarding adding your stories to the site. I just need a bit of time to dig out from the wonderful avalanche of Crybaby e-mails! And finally, I would be remiss if I didn’t say something about the Pitchin Crybaby Bridge. Far and away, I received more correspondences related to that bridge (or the fact that it was MIA from the list) than any other. Truth be told, I did have a few bits of information about an “alleged” bridge, but nothing concrete. In fact, the bridge was in danger of slipping into the world of anonymity. But you guys weren’t having that. Your e-mails and comments literally brought the Pitchin Crybaby Bridge back to life. In effect, you were saving a bit of Ohio folklore. And for that, I thank you all. OK, I’m off to start making updates! Keep the e-mails and comments coming!